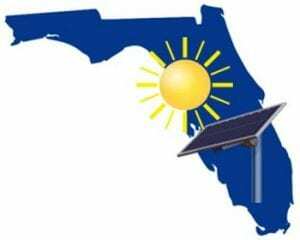 A new coalition that aims to support solar energy has been formed in Florida. The coalition is comprised of the Florida Solar Energy Industries Association, the Florida Alliance for Renewable Energy, and the Southern Alliance for Clean Energy. These organization suggest that the state’s laws and it’s investor-owned utilities have slowed the adoption of solar power throughout Florida. As such, the coalition will work to highlight the benefits of solar power and provide insight on what can be done to make this form of renewable energy thrive in the state. Solar energy is not necessarily popular in Florida. While homeowners in the state have shown interest in embracing renewable energy as a way to save money, businesses have shown relatively little interest in the matter. Moreover, the state’s utilities have been opposed to the adoption of solar energy for some time. The state’s largest utilities have actually been pressuring lawmakers to reduce energy efficiency and conservation goals, suggesting that solar power is little more than a novelty. Florida has some modest solar power potential. The state receives ample sunlight throughout the year, but its climate is not what could be considered ideal for solar energy systems. Intermittent cloud cover has a significant impact on the ability of these systems to generate electrical power. This makes solar power systems inefficient if they are not connected to a battery system. The battery system is responsible for storing the energy generating by solar power systems, but they are also quite expensive. The financial aspects of solar energy are the reasons why this form of clean power receives so much support and criticism. On one hand, solar power can help Florida save money in terms of energy expenditures, and these savings can be passed down to the state’s consumers. On the other hand, photovoltaic technology and energy storage systems are notoriously expensive, and adopting clean energy requires a sizable investment.